Here you can find a selection of publications covering the topics of interaction design, interface research and design critcs. If you like to know more about the certain books visit formundzweck.de. Your client from Germany doesn’t understand you? Because you are missing the right words? Not because you are nervous, but because you have reached the limits of your classroom German when it comes to precisely those terms that you require to illustrate the essential details of your design? Such inevitable speechlessness is the nightmare of all team sessions and can be embarrassing during presentations. Wouldn’t it be helpful in such situations to have a little book that you could pull out of your pocket, and which would contain all the terminology that is not used in everyday German? 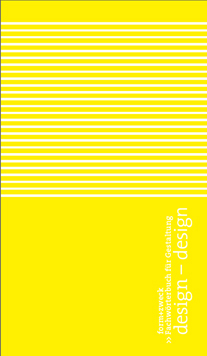 “design-design” is a practical dictionary that incorporates professional design terminology in German and English. This little volume is designed to fit into any coat pocket and always be at hand when you need to convey distinctive details and qualities of designs that go beyond classroom-level language. We have refrained as much as possible from providing explanations. This is not meant to be an encyclopedia, and we don’t intend to prescribe how every user should interpret each individual word. The more manifold the use of computers become in everyday life, in economy and in entertainment, the more complicated the rules about how to use them becomes. Who knows all the commands that are necessary to get the best out of computer technology in order to facilitate our life? Instead, we often fail and remain frustrated. Today, new interfaces are available that are more intuitive to use. Using computers should be as easy as brushing one’s teeth, using pliers or riding a bike. 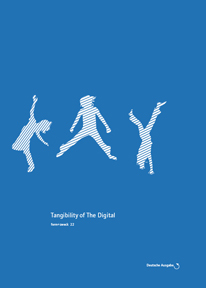 The next steps are imminent: Tangible user interfaces which are controlled by expansive gestures and which trigger machines in a way that they work autonomously. 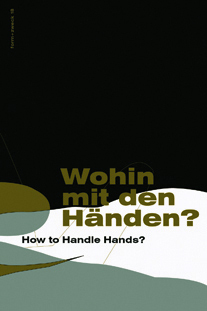 form+zweck 18: How to Handle Hands? Wohin mit den Händen? Why is to not benificial for designers, architects and artists, to put away the pencils, just because designing with CAD software is up to date? Should designers who create objects for use, trigger the sleight of hand to reach much more plaesure for the users. The tight connection between head and the motoric repertoire had been discovered by neurophysiologists primary in the last years. We confront the newer conclusions of the relation between handyness, speech and cognition with the cultural tendence to relieve the hands from a lot of activities by for example uisng voice and button interfaces.